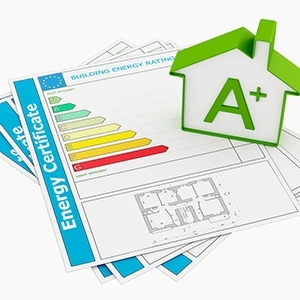 As the housing market continues to rebound, consumers are beginning to give more consideration to investing in energy-efficient improvements, spurring demand for “green” mortgages and programs that reward environmentally focused home upgrades. Fannie Mae offers and supports several different programs related to energy-efficient improvements, but participation by lenders has been low over the past few years. Khristi Waters, a credit risk analyst at Fannie Mae, believes that recent changes taking place in the market could create new demand for incentive programs related to green mortgages. “Lenders will likely start looking at new products and business lines and be more creative in finding new products now,” she said. What they will find are options such as Fannie Mae’s energy efficiency improvement feature, which offers a $250 credit for energy-efficient improvements that any lender can pass on to the borrower during an existing-home purchase or refinance. The financed energy improvements are limited to 10 percent of the as-completed appraised value of the property, but there is no minimum dollar amount for the improvements. As consumer interest in energy-efficient home improvements grows, lenders will likely start to take advantage of their interest and will offer mortgage products in support of the demand, they predict. Another Fannie Mae program, called HomeStyle Renovation, allows borrowers to make renovations, repairs, or improvements â”€ including energy-efficient improvements â”€ totaling up to 50 percent of the as-completed value of the property with a first mortgage. Lenders must receive prior approval from Fannie Mae to participate in this program. Fannie Mae also supports the Federal Housing Administration’s PowerSaver program by purchasing these loans. The program enables homeowners to borrow up to $25,000 for terms as long as 20 years to make energy improvements based on a list of measures developed by the FHA and the U.S. Department of Energy. Eligible improvements include insulation; duct sealing; energy-efficient doors, windows, and HVAC systems; and other items. Lenders must receive approval from the Federal Housing Administration as well as Fannie Mae prior to participating in the program. Paul Barretto, a senior product development manager at Fannie Mae, has found there has been a general lack of awareness among lenders about what constitutes green improvements, as well as the potential benefits that go along with them. But that’s expected to change. Although some of these programs have so far struggled to find their footing in the marketplace, Barretto believes they are in a good position to finally hit their stride. In addition to lenders becoming more proactive about finding ways to market green mortgage options to consumers, he believes the slower pace of new-home construction in recent years has created a pent-up demand for upgrading older homes with energy-efficient improvements. That demand could spur a spate of purchase and refinance transactions as homeowners seek financing for green improvements.